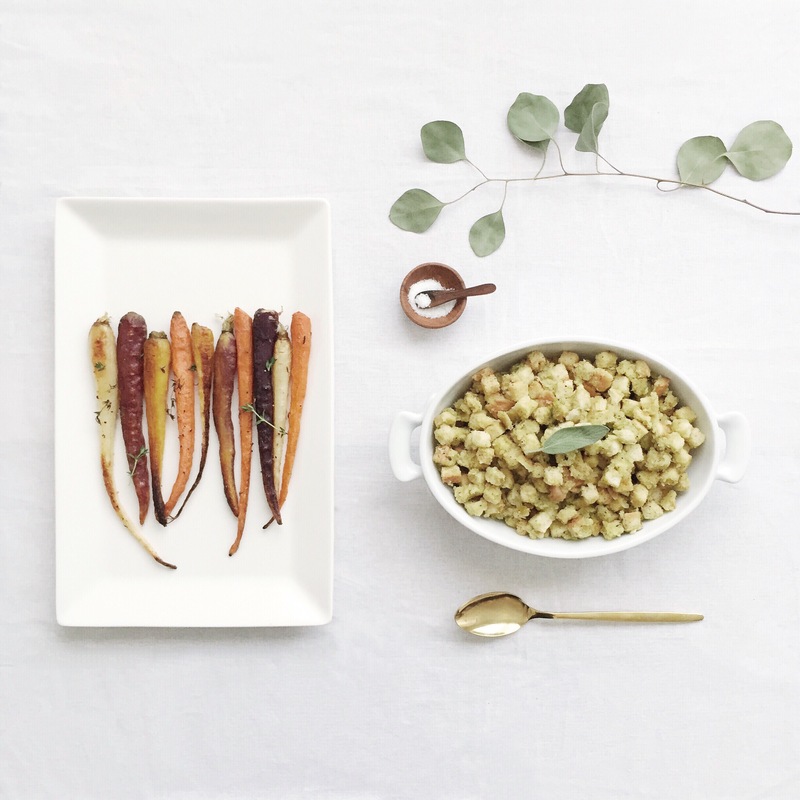 One of my favorite things to do is host dinner parties + gatherings. 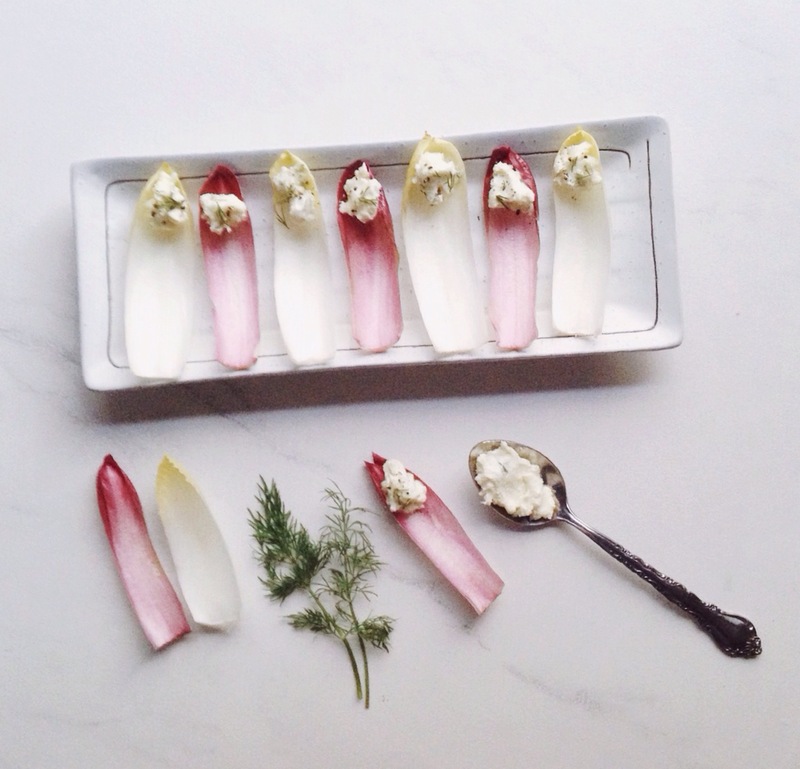 Of course you need to have delicious food but presentation + decor is also important. 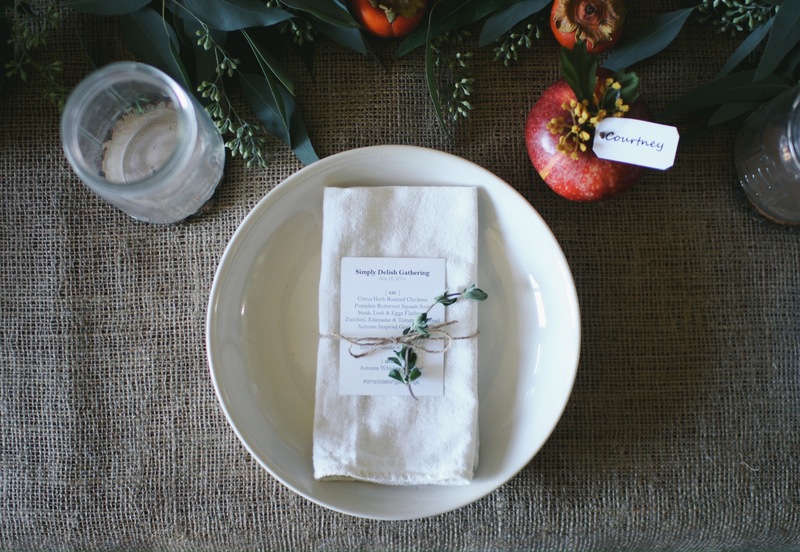 I have been searching for various items to fulfill my vision for the perfect table setting. Thanks to these adorable napkins from Nell and Mary, I think my goal has been achieved. 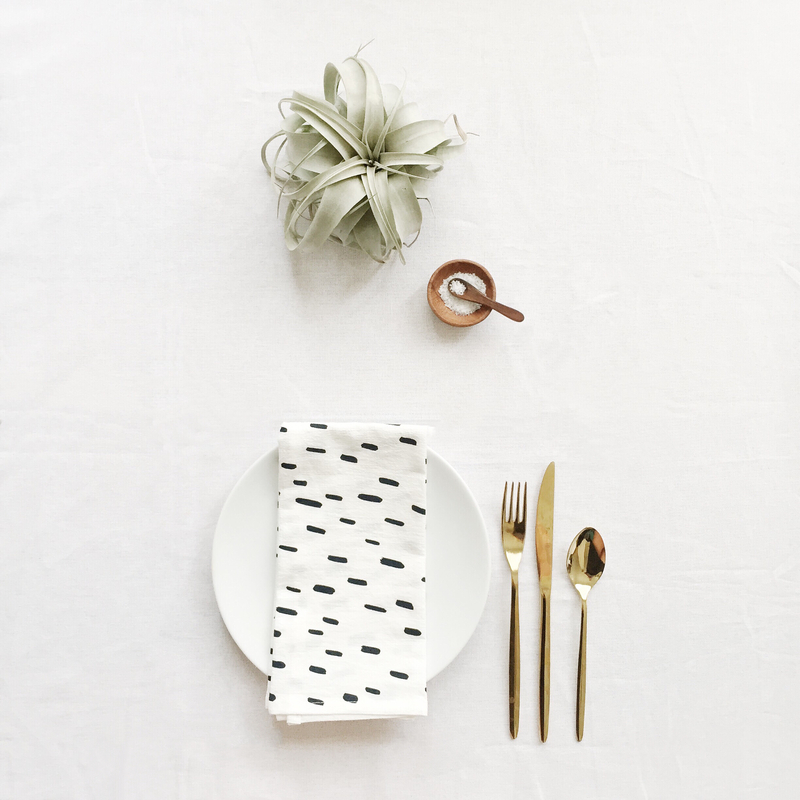 I like to keep things minimal, you don’t want your table to look so crowded, and something as small as napkins can make a difference. 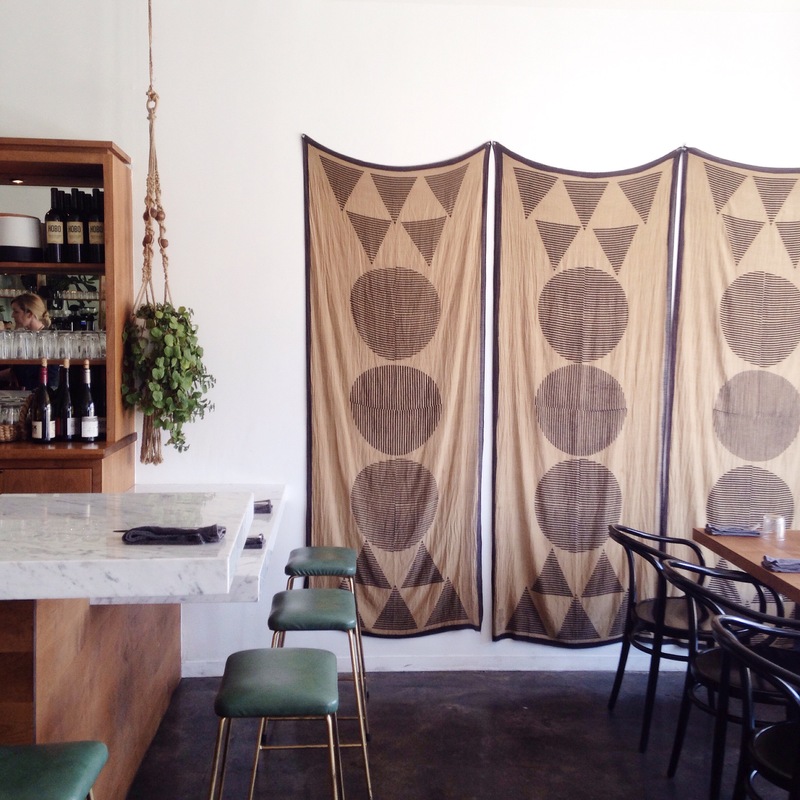 There are so many hidden gems in Echo Park and Ostrich Farm is one of them. 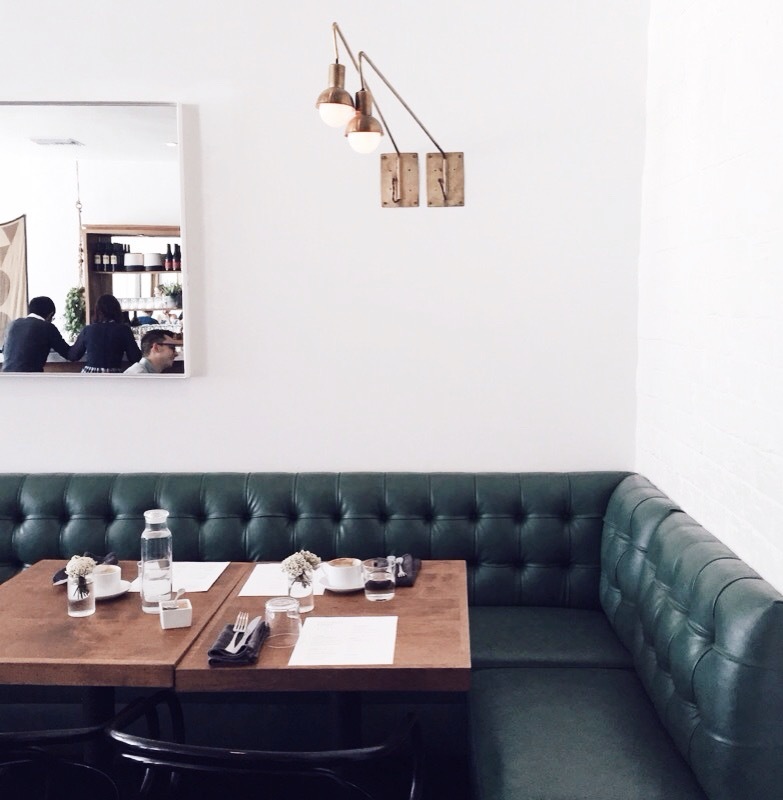 The decor is modern and simple. We sat at a booth and I felt like I could’ve stayed there all day. The food was hearty and homey. I enjoyed everything and could’ve eaten more. 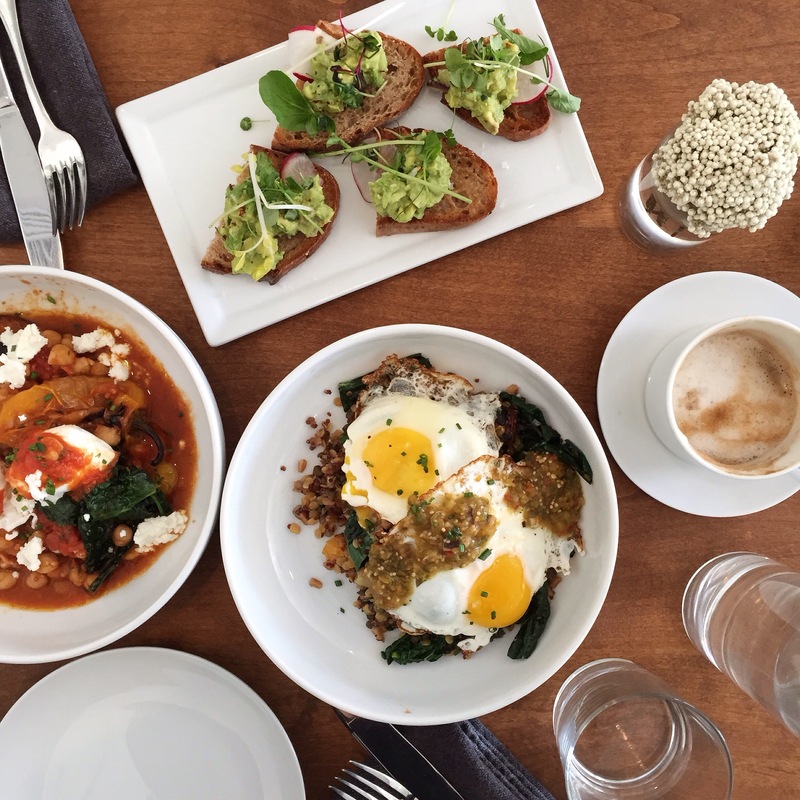 I can’t wait to go back for dinner and try more delicious dishes! 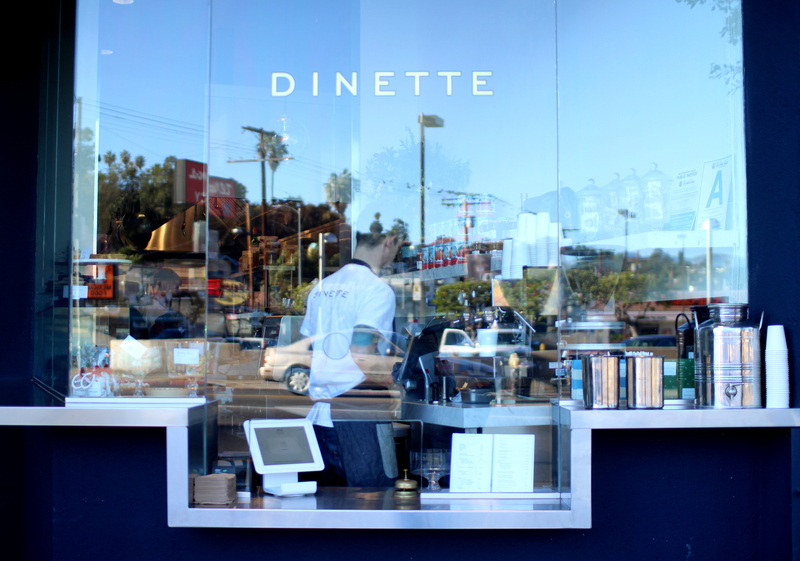 If you haven’t gone to Dinette yet, then you must go soon. 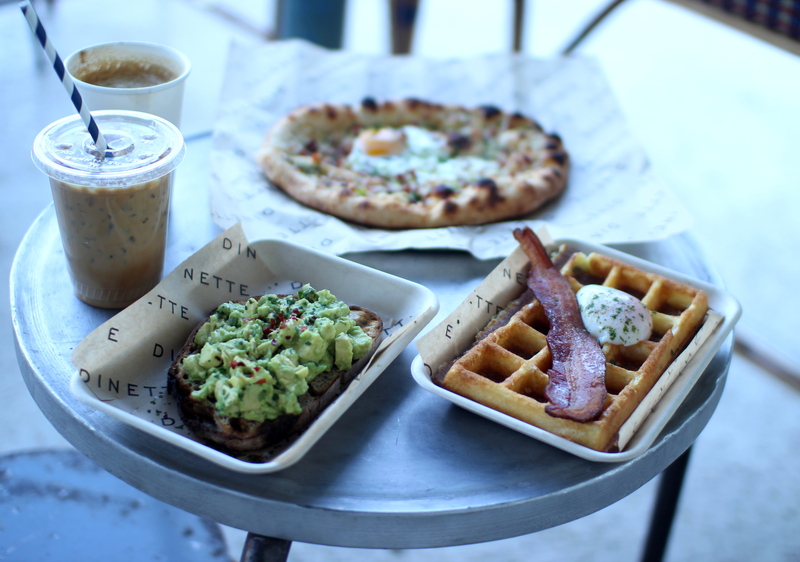 It’s a cute little cafe in Echo Park that serves coffee, breakfast items & pastries. You order from the window and can take food to go or enjoy sitting at one of the tables. The first time I went with a friend, we couldn’t help ourselves saying comments out loud while we were eating- like “mmmm”, “omg this is so good”. And it really is that good. Everything is DELICIOUS. I might make it one of my goals to try every single item on the menu and every single pastry on display. 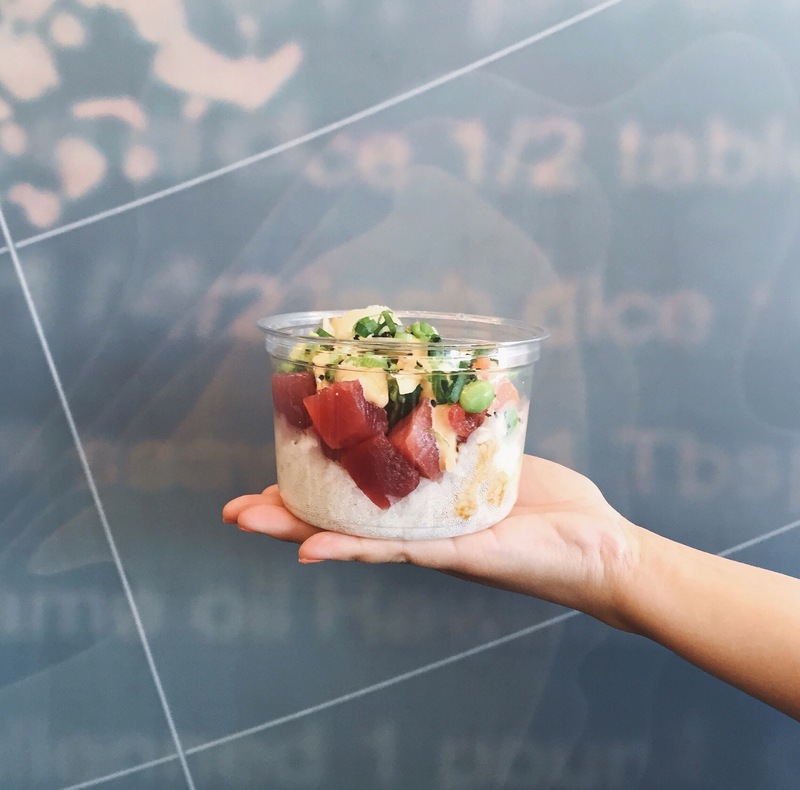 It’s tempting not to over order when you look at the menu because it all sounds good. 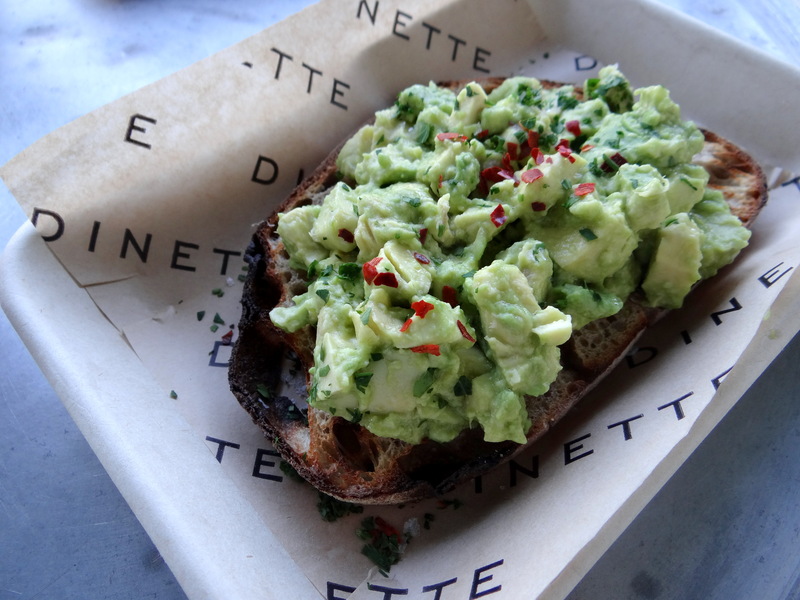 You can never go wrong with avocado toast. 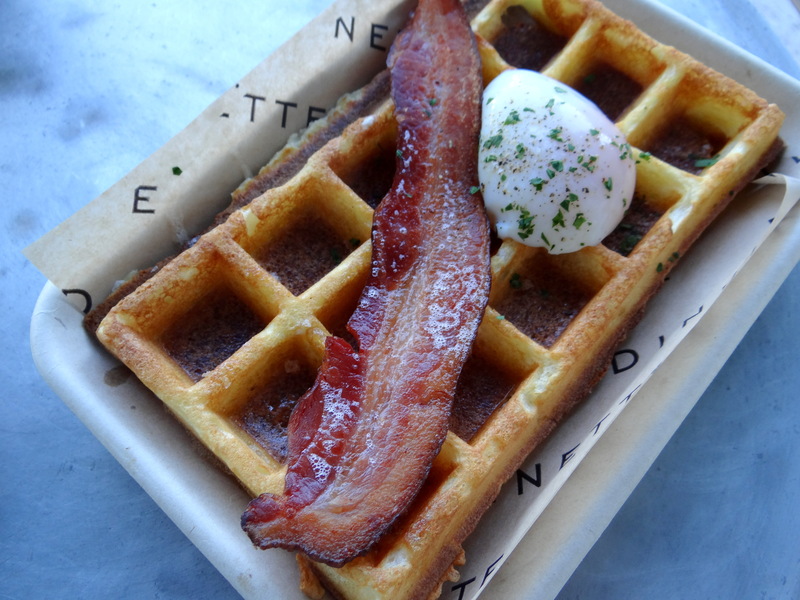 The waffle with poached egg and bacon is a must have. 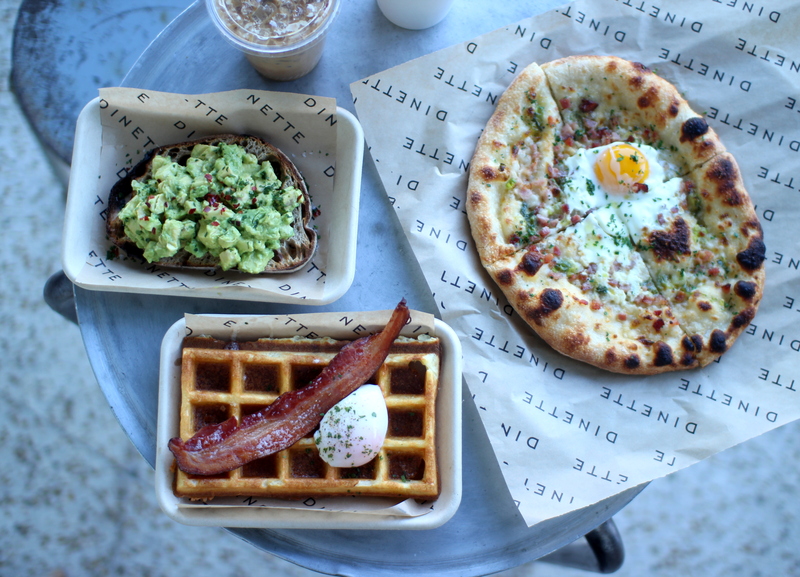 The combination of sweet and savory is mouth watering. 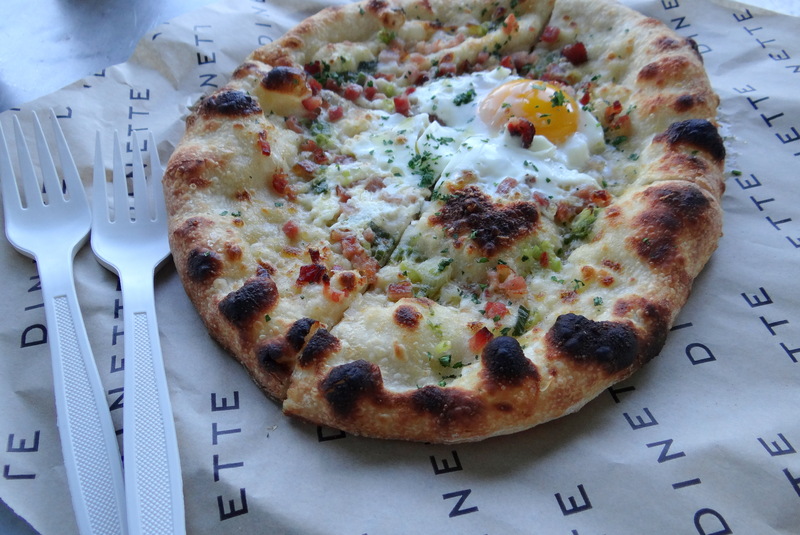 This breakfast pizza is also a must have. I mean, just look at that egg. Last night, I was so excited to host the first Simply Delish Gathering with a fellow foodie, the lovely & talented Stephanie Chang. We were surrounded by great guests, delicious food & fun conversations. Thank you to everyone who attended! I am so thankful to be able to meet new people and be inspired by others. 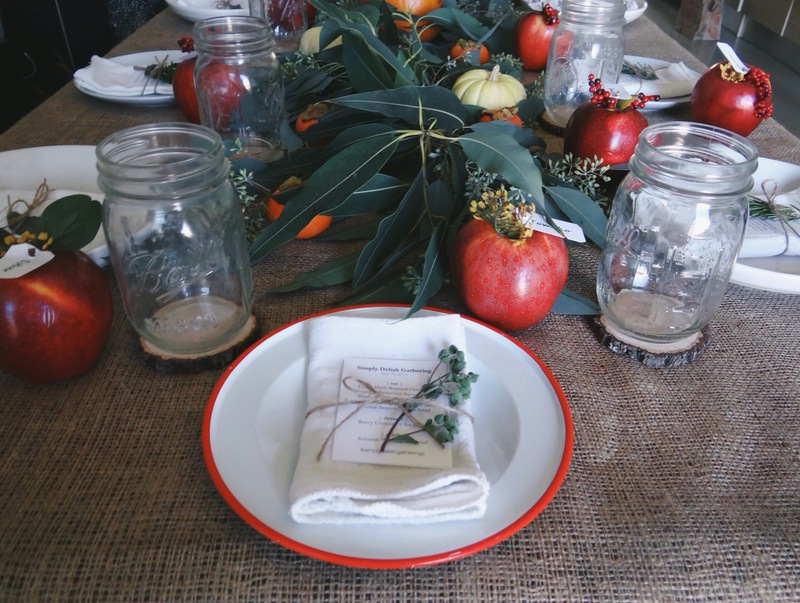 Our theme was a late autumn gathering and we decorated the table with pumpkins, persimmons, leaves & each person had an apple with a name tag (idea from Pinterest). 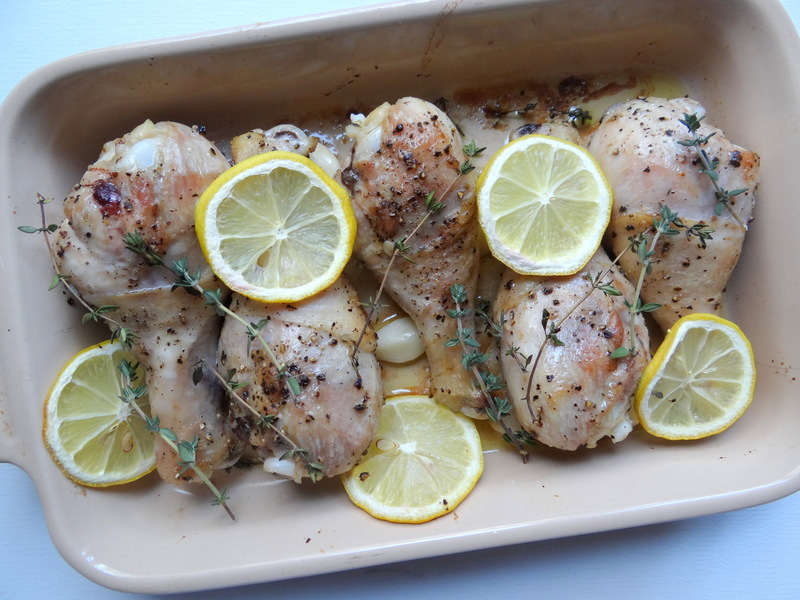 We served citrus herb roasted chickens as one of the main dishes. This was the juiciest chicken I ever had, made by Steph. 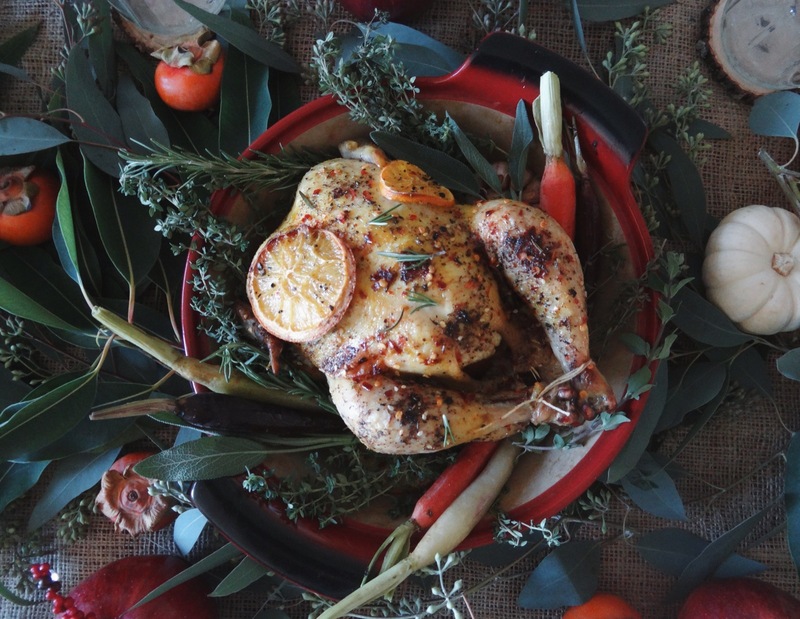 Check out her recipe on how to perfectly roast chicken. The farm was so cute. 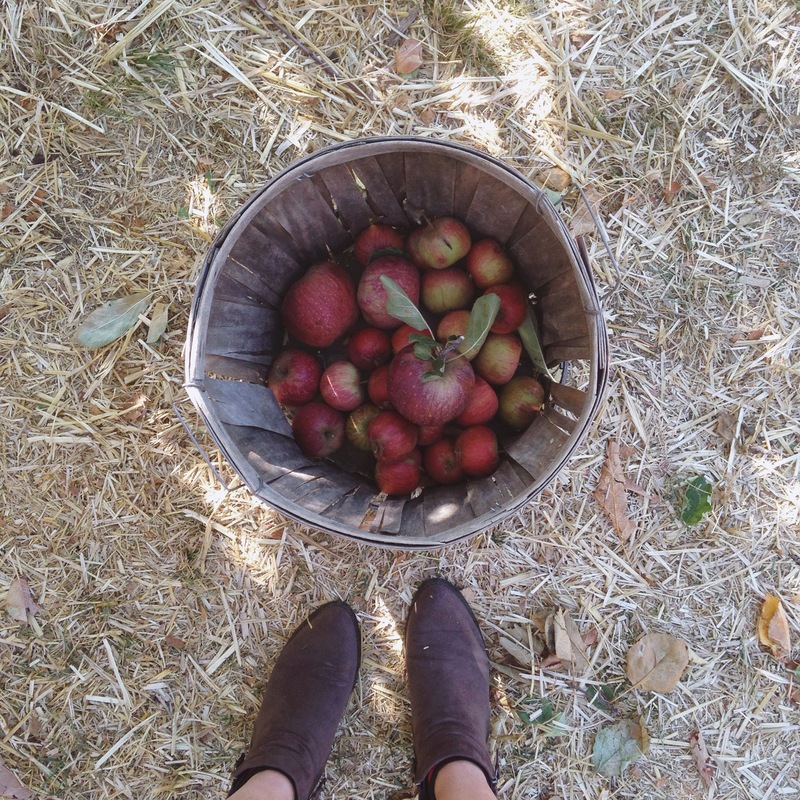 There were several trees we could pick apples from. There is no fee to enter- you just have to pick the bag size you want and pay a flat rate. 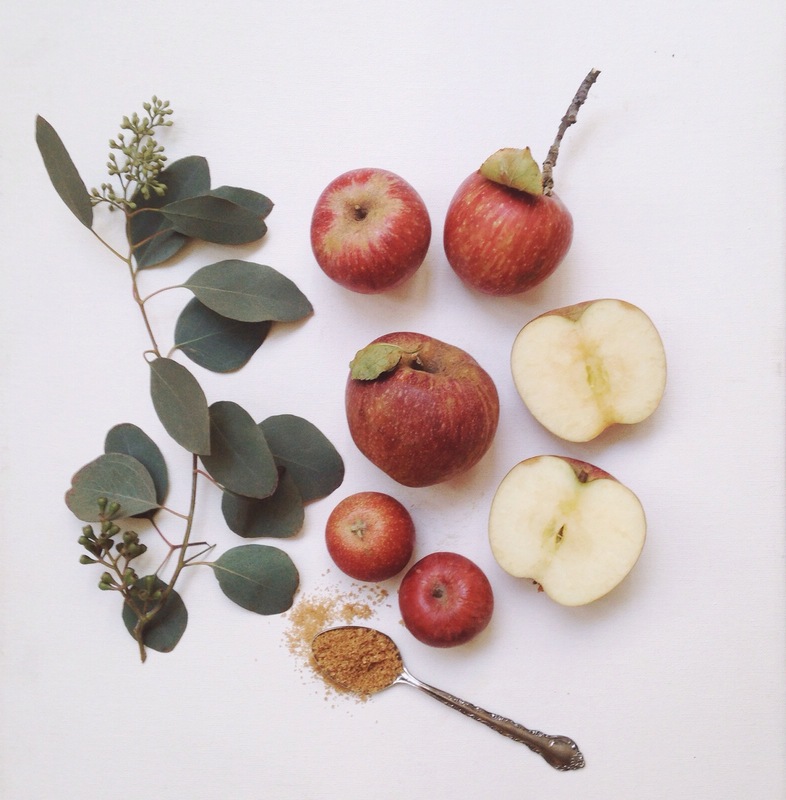 They also have an apple cider making station and sell yummy caramel apples. It was such a lovely activity to do during the day. 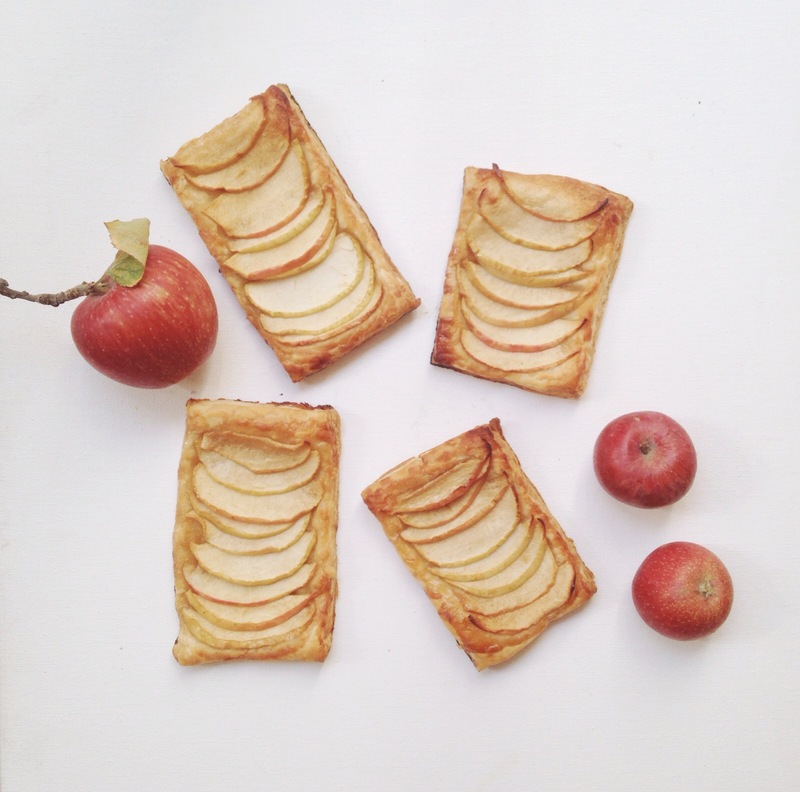 I was happy to come home with a bag of crisp, ripe apples and decided to make apple tarts. It is so easy to make if you already have frozen puff pastry. Pat the chicken legs dry with paper towels. Sprinkle salt & pepper on each leg. 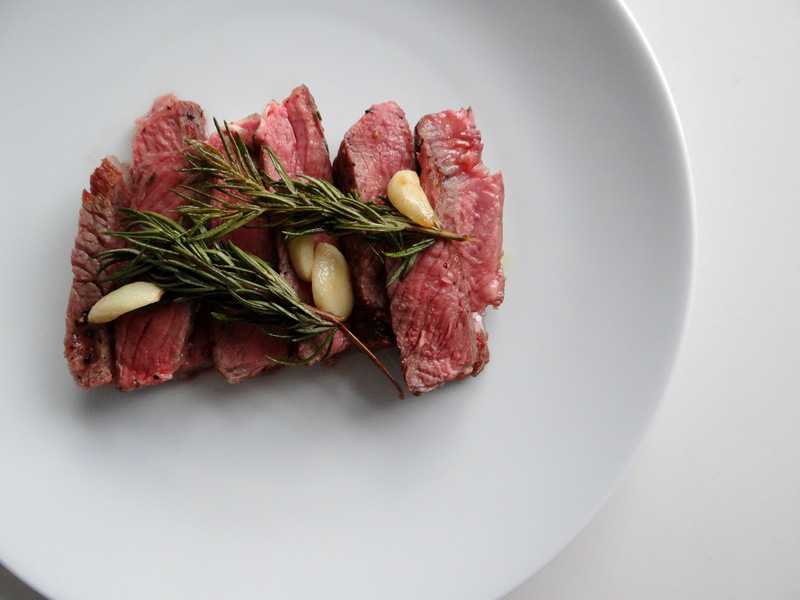 Add olive oil to a pan and sear the legs until they start to brown. 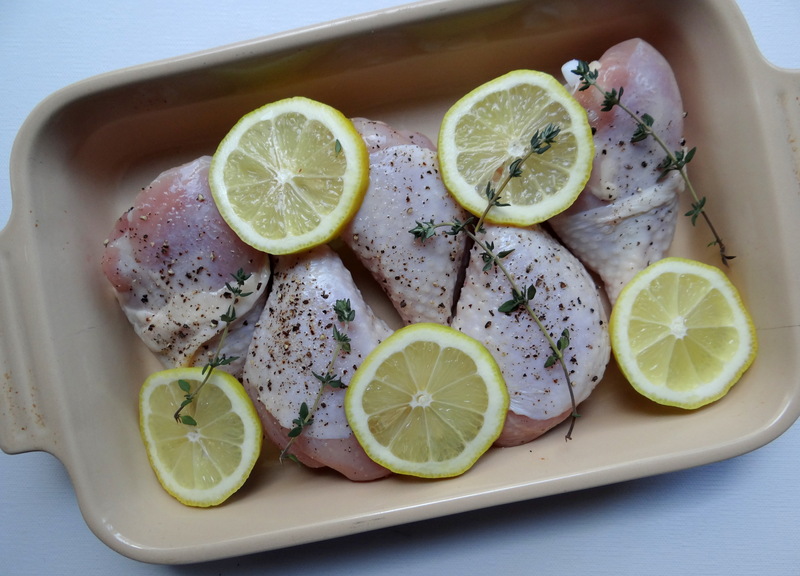 Place the legs in a baking pan and top with sliced lemons, garlic clovers & thyme leaves. Bake for about 30 minutes.